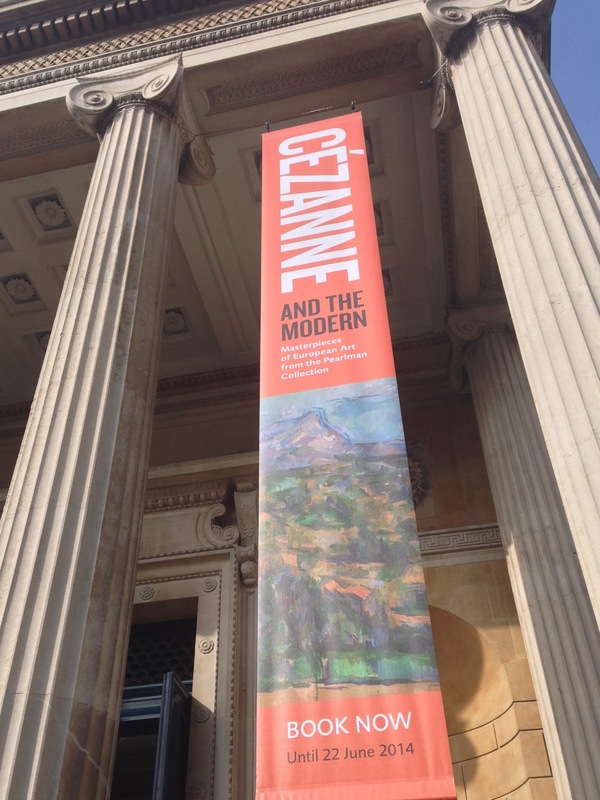 Yesterday I was invited to the private view of the new exhibition at the Ashmolean: Cezanne and the Modern. The exhibitions the museum put on are always worth a visit and this one didn't disappoint. I couldn't take any photos of the show so you will just have to trust me! They have put together three rooms of the collection of works by Cezanne and other artists from the private collection of Henry Pearlman . Some artists that were new to me, but just as mesmerising as Cezanne. Oxford is only a short ride away from London and the Ashmolean is a treasure of artefacts from all over world. As well as their fantastic exhibition programme, you could easily spend a day wandering around getting lost in the rabbit warren of rooms, the place is really huge! They have a fabulous cafe on the top floor which also does light lunches so you can refuel after a cultural overload.